Getting consumers to visit your blog or website should always be ranked as high as the importance of the quality and excellence of the products and the services that you offer. They should go hand-in-hand in providing your customers the satisfaction they get in exchange for the money they have paid for them. Great customer service should be a high priority as well, and be just as remarkable so that the customers are provided with the same satisfaction. One of the ways you can combine marketing and customer service is through opt-in marketing. With an opt-in list you get the opportunity to introduce your site and products on a good time basis. Opt-in marketing strategy is a marketing strategy that is virtually low cost and usually doesn’t take up a whole lot of time. 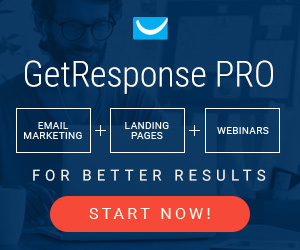 Here, you get the consent of your website visitors to subscribe to your newsletters and other promotional materials such as catalogs and free promotions. Opt-in marketing uses your list of subscribers to send e-mail to. These e-mails will contain the materials you will send to your subscribers. It is important that you present your promotional items in a manner that will catch the interest and the eye of your subscribers to keep them coming back for more. The best way to do this is to provide fun, entertaining and informational articles. Well written articles full of great content and useful information will help in building your list as more subscribers will be invited to subscribe to your list. When they have read the samples of your contents on your blog or website, they will be intrigued as to what will come next. Subscribing to your newsletter will offer them a glimpse of what you have to offer next. Many sites and companies have captured the importance of articles and this also helps in obtaining search engine optimization for your blog or website. As more and more people are searching the Internet for their informational needs, providing the right information to them via articles on your site will increase the flow of your website traffic. With more traffic, the percentage of your sales will grow. As such, more sales turn into more profit. There has been an increase for the importance of well written, information enriched, and keyword packed articles for the content of their site as well as for newsletters. These articles provide the information many are looking for online. If your site has these articles, more people will be going to your site for information and research. Well written articles would also boost your sites reputation. If they are filled with credible information, you will be seen as having extensive knowledge about a subject matter and an expert on the subjects that you handle. Your articles must be well researched so that the people will trust you. When you have gained their trust, they will always come to you for their needs on that subject matter. In connection, you must write articles or commission them to deal with topics that are closely associated with your type of business. For example, if you have a site for a web hosting services, your articles should be about hosting services. Or if you sell materials for home improvements, provide articles with those themes. Most articles searched for are tips, guidelines, methods, manuals and so on. If you provide these articles to your customers and you have their trust, they will always go to your site for help and advice as well as for your products. With the loyalty of these customers, they may subscribe to your opt-in list to receive all the information you have. If you provide them with the answers for that need, they will be more than happy to receive your newsletters as well as other promotional materials to keep them well informed. Some may even forward your newsletters to other people when they find a certain article interesting. You should provide links in your newsletter so that when other people are reading it and want to read more, they can click on the link and go to your site. With the articles you have on your site that are good, they may even decide to sign up as well for your opt-in list. This will build your list and make it bigger. Make sure to keep your subscribers happy and interested in your newsletters and promotional materials. Keep on posting and writing good articles for your site and newsletter. If you are not interested in writing them or just don’t have the time, there are many available well experienced and knowledgeable writers available to help you out. This is an investment that will pay for itself in time.